Aside from medicinal herbs and plants, the fruits which are native of the Asian region has medicinal and healing uses. In the list of herbal plants, the cotton fruit (santol) is included among the most potent medicine that can be found in most countries in Asia. 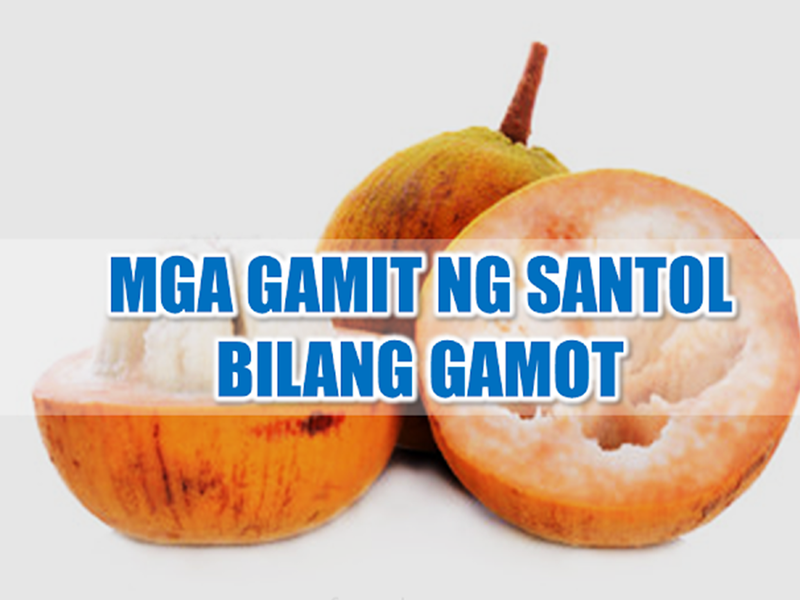 According to Bureau of Plant Industries, santol is found throughout the settled areas of the Philippines, either planted or semi-cultivated and abundant in second-growth forests. It was perhaps introduced into the Archipelago but is now thoroughly established. It is also reported from Siam and Indo-China throughout the Malayan region, where it is often cultivated. Santol is a tree growing up to 20 meters high, with softly hairy young branches and leaves. Leaves are groups of 3 leaflets, elliptic to oblong-ovate, 10 to 25 centimeter long, with pointed tips and round bases. Flowers are numerous, somewhat fascicled, about 1 centimeter long, in greenish or yellowish clusters. Fruits are rounded and somewhat flattened, 4 to 6 centimeters, yellowish-orange when ripe with a thick pericarp. Seeds are large, surrounded by a translucent or pale, sweet tasting edible pulp. Roots are aromatic, carminative, antispasmodic, astringent, stomachic (promoting the appetite or assisting digestion), and tonic. Santol fruit is also considered astringent. - High in carbohydrates, fair in iron, but low in calcium. - Fair source of vitamin B. - Santol makes a delicious preserve - peeled, quartered, and cooked in syrup. - Fresh leaves applied to the skin are sudorific (induces sweating). - Used by the Ifugaos for diarrhea. - Decoction or infusion of leaves used for baths to reduce fever. - Also, used for diarrhea and as a tonic after childbirth. - Bark poultice used for ringworm. - Bitter roots, bruised with vinegar and water, is a carminative; used for diarrhea and dysentery. - Pounded barks applied to ringworm. - Leaves used for skin infections and rashes. - Roots used as tonic. - Roots used in Malayan medicine as preventive after childbirth and as a general tonic. - In Malaysia, aqueous extract of the bark is consumed as a tonic after childbirth. - In Indonesia, bark decoction used to treat leucorrhea and colic.